Here’s a fun fact for you, did you know that the creators of Danganronpa and Zero Escape are friends? I’m not honestly surprised and in fact, I find that enduring, given the creators perchance for making dark video games with diabolic and white, cuddly characters. Although I have not yet played Danganronpa (mainly through lack of specific hardware) I have seen the anime and it’s quite good in all honesty. After seeing the anime, I really want to play the game even though I know the ending to it. Video game adaptations to the small screen can be hit or miss but can be done right and even extremely well. In particular, the visual novel genre seems to hit a particular easy-adaptation and well-produced stride among other video games. It’s not surprising given how there is already a well-thought out story immersed with fleshed-out characters and plot twists galore. A simple elimination of the minimal player interaction combined with a full anime budget and you got yourself a decent miniseries on hand. Ace Attorney has finally gotten its own anime adaptation and I’m hoping that Professor Layton will follow suit soon. 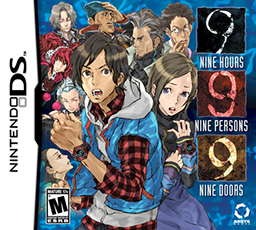 As such, why hasn’t Nine Hours, Nine Persons, and Nine Doors (or “999”) gotten its own anime adaptation yet? I honestly think it will adapt quite well. I think 999’s biggest problem is the branching storyline that is absolutely essential to the game. 999’s alternate histories and complex plot could easily confuse new viewers who may lose focus even for a moment. What’s more, 999’s, and its sequel, loves thought experiments and hypothetical situations, which take time to explain and may further confuse a person who would question why these are here in the first place. Before I offer suggestions how this could be resolved, let’s look at another visual novel-adapted anime that also has branching storylines, Umineko: When They Cry. 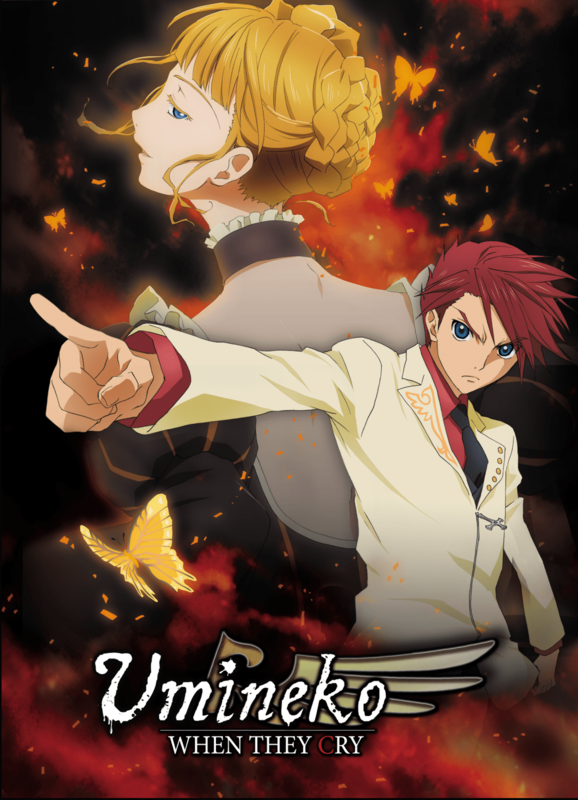 Umineko focuses on an extended family that visits their island after the head of the household dies. The greedy family wants to know who inherited what in the will of their now deceased father/grandfather. What follows are a series of supernatural events where many deaths occur and many alternate histories are explored. What made Umineko easy to follow was how the main character was aware of these alternate storylines. Through him, he can remind us how things happened and how he was going to change them. What’s more, the anime made watching easy for the viewer and sped up certain already-seen events while establishing who was alive and when. In the end of the first season, we are left with a cliff hanger but we are not confused thanks to the excellent plot development. The anime adaptation of 999 should follow a similar tract. Some events, mainly those at the beginning of the game, are ones that we will witness over and over again. A simple reminder of what happened and when will help orient the viewers of where they are in the timeline and what puzzle rooms have been solved. What’s more, Junpei’s ability to jump timelines should be more heavily explored near the beginning of the anime so the viewer is not confused why events are happening differently this time. The thought experiments, which are very dialogue heavy, is probably the trickiest part of 999 to adapt as the original flavor of the game would be lost if these aren’t included. I honestly think these can be done though given the right circumstances. If other, thought-provoking anime shows, like Death Note, are not afraid to be complex and not talk-down to the audience, then 999 shouldn’t be afraid either. If you wanted to be poetic, the anime could be produced into nine episodes. I’m not honestly sure if that would be feasible or not but given the circumstances, it’s possible. With the final Zero Escape game coming out this summer, I would welcome the possibility of a complete anime adaptation of this series but I stress that an anime adaptation of Virtue’s Last Reward would likely be insane. 999 had only five separate endings whereas Virtue’s Last Reward had over 20! True, you probably wouldn’t have to explore every single damn ending (quite a few of them aren’t necessary), but the amount of timeline jumping in that game is craaaaazy. The game had a helpful timeline chart you could look at but I bet the anime wouldn’t have it as easy as that. I think the best course of action is just to stick to 999 as that game is more concise compared to its sequel. Video games are a form of art and sometimes, just like from books to movies, you can’t do the original media justice when you transform the source into something else. And maybe an anime adaptation of 999 will fall to pieces because of which. You just can’t adapt the player interaction into an anime. But hey, it could work. This entry was posted in Uncategorized and tagged 999, Anime, anime adaptation, Danganronpa, Nine Hours Nine Doors Nine People, Nine Hours Nine Persons Nine Doors, Nintendo DS, Umineko, video games, Virtue's Last Reward, Zero Escape on May 30, 2016 by Andy.